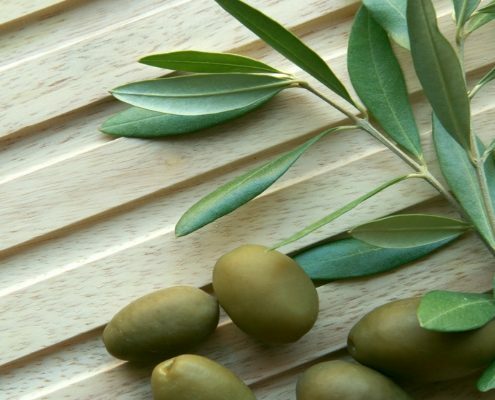 What are Olive Leaf Extract Health Benefits? 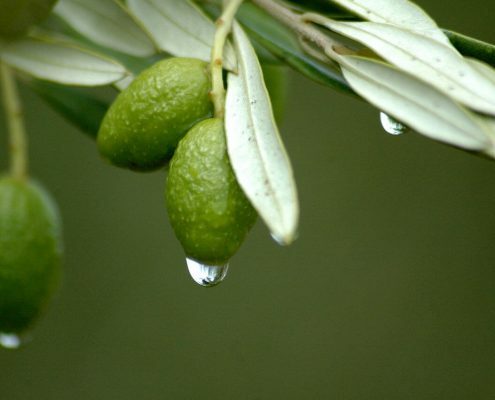 Olive leaves have been used as a medicine for thousands of years, and their earliest known use was in Ancient Egypt. Olive leaf extract is gaining trust in communities as a powerful defender against sickness, and numerous scientific studies have been conducted to investigate the extract’s beneficial properties. For many centuries, the fresh leaves of the olive tree have been used for medicinal purposes, and current studies at Australian universities show why olive leaves are so desirable for us. Olive trees are native to Asia, but are now found throughout the world. Olive leaf extract benefits include more physical energy, lower blood pressure and better cardiovascular health, and a stronger immune system. If you want to boost your immune system, and fight or prevent viral infections and fever, taking olive leaf extract could be a good option. 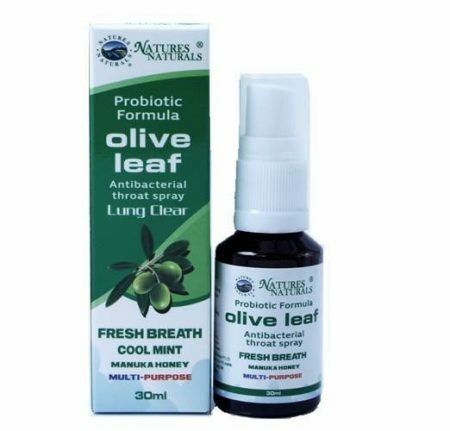 Here at Natures Naturals we provide a variety of olive leaf extracts (liquids, tablets and throat sprays). People living in the Mediterranean statistically have a very low rate of cancer, according to the World Health Organisation. This is largely attributed to their healthy diet, which utilises olive oil and other olive products. Other factors are high levels of antioxidants and protein, and lower intake of carbohydrates. The diabetic state of chronic blood sugar elevation imposes large oxidative stress in the throughout the body, triggering irritation and tissue damage that quickens the ageing process. 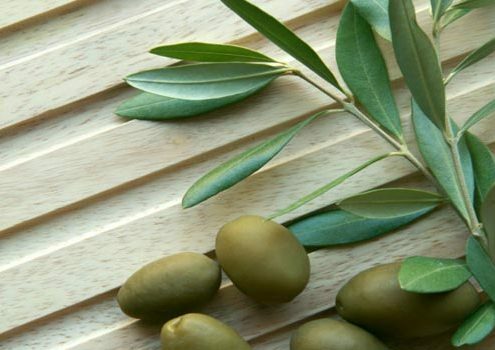 Olive leaf extract may help the body create higher levels of insulin. Olive leaf extract may also help protect the brain. One of the most powerful components of olive leaves is a substance called oleuropein, which is very high in antioxidants. Antioxidants fight free radicals, which can cause brain diseases like dementia and Alzheimer’s disease, and lesser conditions like memory loss. Olive Leaf Extract can be taken in many different ways. The most common ways people take Olive Leaf Extract are in the form of capsules, powder, or tea. For general good health, 25mg is recommended, to be split into 1 or 2 portions. For assistance with disease, a larger dose of 75mg per day is recommended, to be split into 3 portions. For serious ill health, one can take up to 180mg per day, and split that into 3 to 5 portions. For general good health, 12.5mg is recommended, to be split into 1 or 2 portions. For assistance with disease, a larger dose of 38mg per day is recommended, to be split into 3 portions. For serious ill health, one can take up to 90mg per day, and split that into 3 to 5 portions. For general good health, 7mg is recommended, to be split into 1 or 2 portions. For assistance with disease, a larger dose of 18mg per day is recommended, to be split into 3 portions. For serious ill health, one can take up to 40mg per day, and split that into 3 to 5 portions. For general good health, 5mg is recommended, to be split into 1 or 2 portions. For assistance with disease, a larger dose of 12mg per day is recommended, to be split into 3 portions. For serious ill health, one can take up to 25mg per day, and split that into 5 portions. Another way you can enjoy the benefits of olive leaf is as a tea. You can purchase the readymade tea online or even make it yourself if you have access to an olive tree. Pick some clean, fresh green leaves from the tree. Wash the leaves in water. Dry the leaves in your oven. Preheat the oven to 65 degrees C. Bake for around 10 minutes, then check if the leaves are dry. You can do this by crushing one in your hand. If it doesn’t crumble easily, bake for a little longer, checking every 10 minutes or so. Once the leaves are dry, crush them into a bowl by hand, removing the stalks. Add one teaspoon of leaves per cup to hot water in a teapot. Let it steep for about 5 minutes. Then enjoy your tea! There is a component found within olive products called oleuropein. It is a polyphenol which can help maintain healthy brain function, reduce oxidative damage, prevent cancer, and lower blood pressure and bad cholesterol levels. It is the cause of the distinct bitter, fragrant, tangy taste found in extra-virgin olive oils. It is the source of most of olive oil’s disease-fighting, antioxidant, anti-inflammatory properties. In an animal study, oleuropein caused tumours to regress and even disappear in 9 to 12 days. It is found in the leaves and fruit of the olive tree. It can be consumed conveniently in the form of olive leaf throat spray, which we stock. This saves you having to consume excessive amounts of oil or olives. Olive leaves are renowned for their healing properties. They contain a high dose of antioxidants, which helps your body fight free radicals. Olive leaf extract is an anti-inflammatory that will soothe irritation in your body. It helps with cardiovascular health, by keeping your veins healthy and clear, and lowering blood pressure. Check out our olive leaf throat spray if you’re interested in the healing benefits of olive leaf extract. Olive leaves have been used for their medicinal properties ever since humans came into contact with them hundreds of years ago. The ancient Egyptians and Greeks used the leaves in a range of different remedies to improve overall physical health. In Egypt it was even used as one of the embalming ingredients for their Pharaohs. Olive leaves were mentioned in the Bible for their healing properties. They are making a rapid comeback in modern times as people rediscover their healthy benefits. It has been known to alleviate fevers, and help prevent nerve damage. The active ingredient is oleuropein, which has a massive amount of antioxidants. A recent study found that consumption of olive leaf extract lowers blood pressure, improves endothelial functionality (the endothelium is the lining of the blood vessels or lymph nodes – it helps filter the blood), and lowers cholesterol and triglycerides. It was a double-blind study conducted on humans fitting strict criteria to ensure accuracy. It involved the use of extra strength olive leaf extract. A pulse wave device was used to check the flexibility of the subject’s arteries and it was found the subjects taking the extract had increased flexibility. The blood pressure decrease signals a lower risk of heart attack and stroke. 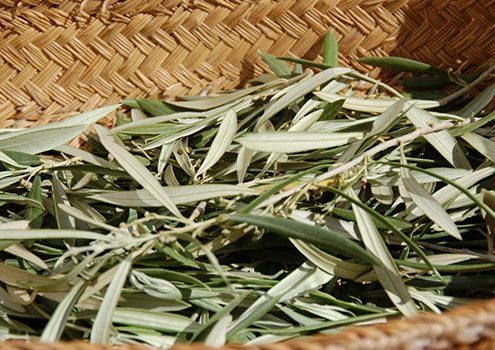 A study was recently undertaken to assess olive leaf extract’s (olive polyphenol) impact on post-menopausal women’s bone strength. The study was aimed at determining whether olive leaf extract could help treat osteoporosis. Osteoporosis is a condition where the bones lose mass and are more susceptible to fractures and breakages. Many women suffer from this condition after menopause. The study gave a group of women 250 milligrams of olive leaf extract per day. The group showed an increase in bone strength and mineral density. It also showed lower cholesterol in their blood. This is just another awesome benefit of olive leaf extract. If you’re interested, you can find our extract at the bottom of this page. $39.99 AUD $27.99 AUD Sale! Should I Take Olive Leaf Extract? https://www.naturesnaturals.com.au/wp-content/uploads/2016/07/Olive-Leaf-Extract1.jpg 400 650 agile https://www.naturesnaturals.com.au/wp-content/uploads/2016/08/NN.jpg agile2016-07-11 04:13:502017-03-10 13:03:54Should I Take Olive Leaf Extract? What is Olive Leaf Extract? https://www.naturesnaturals.com.au/wp-content/uploads/2016/06/Olive-Leaf-Extract.jpeg 851 1280 agile https://www.naturesnaturals.com.au/wp-content/uploads/2016/08/NN.jpg agile2016-06-03 01:46:342017-03-10 13:35:02What is Olive Leaf Extract?